Do you feel like you're being squeezed by the competition? You have to cut costs when there are no more places to cut? You need to turn your operations around before profits and customer satisfaction begin to suffer? Concentrating on operational efficiency can benefit your business work smarter: increase efficiency, reduce costs, and streamline processes. Are there concrete changes you can make to simplify and improve how your business works? How do you identify and eliminate waste? 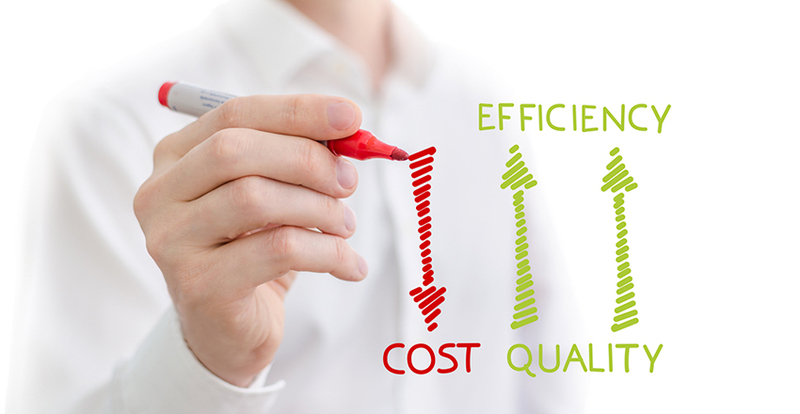 Operational efficiency (OE) and lean manufacturing both target waste. This means identify where you spend resources (time, money, people, effort, etc.) on activities that do not add value to your product or service, and then eliminating such problematic areas. The results are measurable, immediate and sustainable. Our well experienced consultants assess your company's management processes, observing everything from methods and systems to supply chain and human resources. There after they develop and execute a customized action plan, and recognize the necessary training for your employees. The consultants also conduct a continuous follow-up to ensure that new processes are sustained over time. 5S Process (Sort, Straighten, Sweep, Standardize and Sustain): Reducing delays and gaining space through a clean and well-maintained workplace.